1. 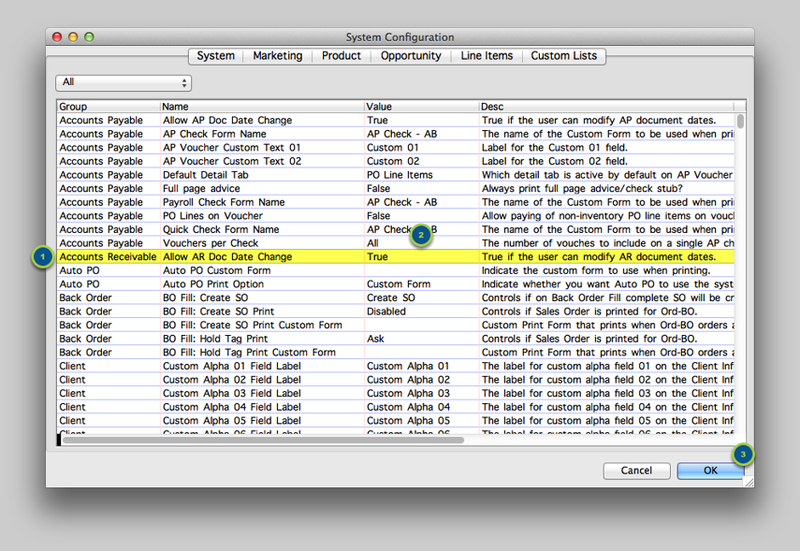 Change System Settings to allow the AR Document Date to be modified. Prior to actually changing the document date, there are a couple of settings that need to be enabled to allow a User to change the date. 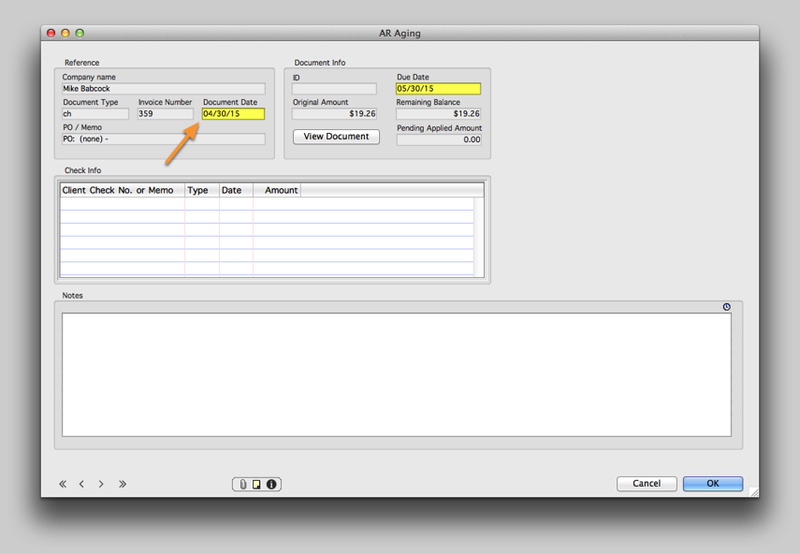 Double-click the setting for Allow AR Doc Date Change and set the Value to True. Click OK to save the System Configuration settings. Navigate to Administration ➤ User Access Levels, open the User record [for the User(s) who you want to allow to change the document date] and click on the System Access tab. In the Other Settings section, double-click the setting for Allow AR Doc Date Change and set the Value to True. Click OK to save the User Access settings. Now that the settings have been changed to allow the ability to modify the AR Document Date, you can proceed to the AR Aging window. 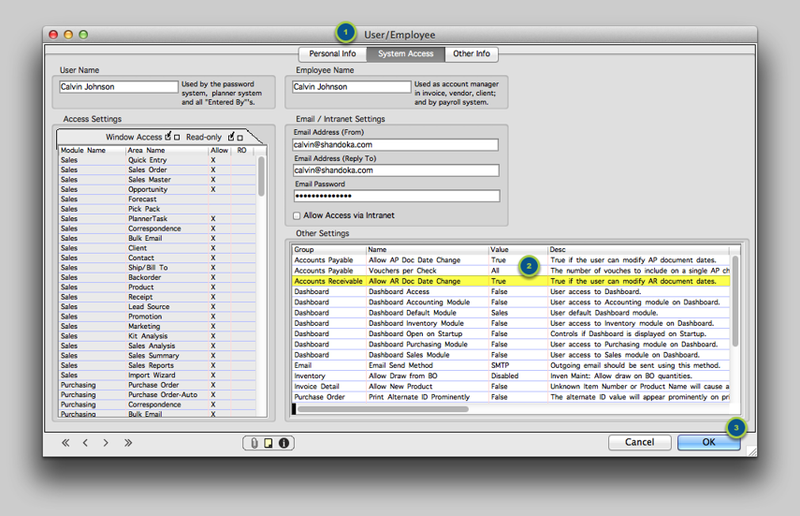 Navigate to Accounts Payable ➤ View AR Aging. Double-click to open the AR Document that you want to change the date for. 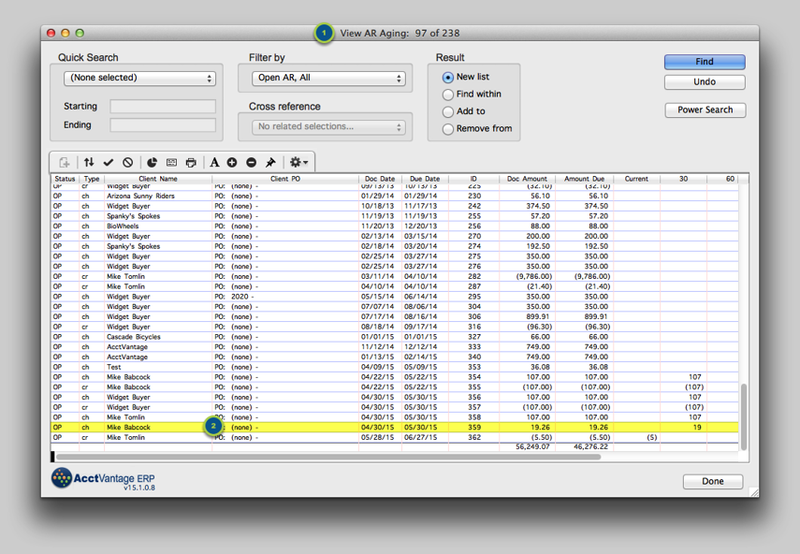 You can see the Document Date in the upper-left section; it is the same as the Invoice Date that was used when the Sales Order was originally created. Type in the new Document Date. Click OK to save your change. Tip: You can also change the Due Date in the same manner! 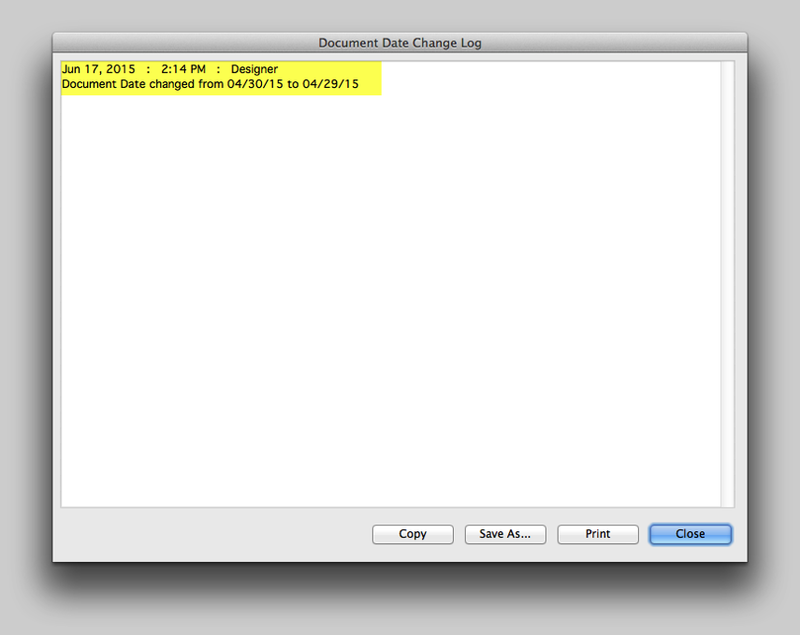 This log records all of the date change activity for the AR Document. Next: Receive a Payment from a Customer.